A large freehold landed site at Upper East Coast has been put up for sale at an asking price of $26 million. 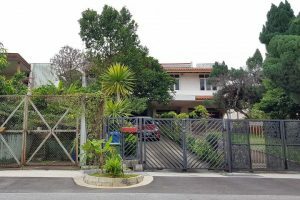 The sole marketing agent for the property, Edmund Tie & Company, said that the price for the freehold landed site works out to $914 per square foot (sq ft) for the 28,449 sq ft plot in Jalan Haji Salam. The large freehold landed site is zoned for three-storey mixed landed housing. Subject to approval by the relevant authorities, the large freehold landed site may be redeveloped as any combination of detached, semi-detached or terrace housing, with either conventional homes or cluster housing. Edmund Tie & Company’s senior director of investment advisory, Swee Shou Fern , said such large sites for landed housing projects “are rarely available”. “The price quantum of this property is also palatable to developers,” she added. The freehold landed site is located between the upcoming Bedok South and Sungei Bedok MRT stations. It is within one kilometre of Temasek Primary and within two kilometres of Bedok Green Primary. The tender exercise for the freehold landed site closes on Oct 31 at 3pm. An OCBC Investment Research report from March said that unlike non-landed properties which rebounded 1.3 per cent in 2017, landed properties fell by 0.5 percent in the same period. But this is set to change according to iCompareLoan‘s chief mortgage consultant Paul Ho. Mr Ho said that “as the sales proceeds start to come in from the en bloc sales completion from now till 2019, landed properties, especially the Inter-terrace segment will hot up.” This Mr Ho believes is because en bloc sales homeowners who are flush with cash, will resort to value hunting instead of choosing smaller condominiums which are beginning to sell at unbelievable prices. “The supply of landed homes has been limited. From Q4 2008 to Q2 2018, the total stock of landed homes rose 6.4 per cent, from 68,761 units to 73,150 units. Yet, the total stock of non-landed homes went up by about 70 per cent from 172,443 units to 293,593 units over the same period. An earlier research by CBRE said that the total number of transactions for landed projects in 2018 is expected to be around 300 units, with the majority of units sold outside the Core Central Region. CBRE added that freehold projects will present a better value over leasehold projects in the growing landed property market. “As of now, the total number of housing units offered in the market is 380,000. Landed properties only consist of 1.5 percent of the total housing stock, a small supply compared to non-landed properties which comprise 98.5 percent. Around 90 percent of landed properties are freehold while the remaining 10 percent are leasehold. If you are eyeing freehold landed site, but are ensure of funds availability for purchase, our mortgage consultants at iCompareLoan can set you up on a path that can get you a home loan in a quick and seamless manner.